Owen Wilson runs for his life, and away from his usual comedic roles. If you took No Escape for a light action movie, something like a flick in which Liam Neeson would beat up villainous cartoon foreigners, you're forgiven. It's certainly the way the film has been marketed. Plus it stars Owen Wilson and Lake Bell, comic actors known for lighthearted snark and offhand insouciance. What else could be on offer but popcorn violence? And this is still where I was a full 15 minutes into No Escape. We've seen the Dwyers of Austin, Texas, arrive in an unnamed Asian country. Jack (Wilson) is an engineer, and he has moved his family — wife Annie (Bell) and little girls Beeze (Claire Geare) and Lucy (Sterling Jerins) — here to work on a project that will bring clean drinking water to "the fourth world," as he jokingly calls it. On the morning after they arrive and have settled into their four-star hotel, they wake up to discover that the phones are down, the TV isn't working, and there isn't even any Internet. So Jack goes out to try to find a newspaper, and gets caught up in the middle of the beginnings of a bloody revolution. Now, that could be a setup for Taken: Southeast Asia, but this is presented not as action but as drama, with Jack not as a badass kicked into heroic overdrive but as an ordinary guy terrified out of his mind. And I suddenly realized: No Escape wants to be something serious, maybe not The Killing Fields, but certainly bordering on prestige drama. No Escape cannot hope to achieve that goal, however, because it doesn't have the least bit of interest in making any Asian people characters in the story, and it has almost no sympathy for their completely justifiable anger, which has to do with the Western corporate colonialism Jack's company represents (they're in the country for profit, not charity). It's also almost beyond belief that Jack could be as ignorant of his employer's objectives as he professes to be, which undercuts the sympathy we're intended to have for him and his family, who now have to get the hell out of Dodge without being slaughtered (they get a bit of help from Pierce Brosnan's shady covert operative). Sure, no one wants adorable little girls to be butchered in the streets... but adorable little girls are dying from cholera, and they're nowhere to be found here. 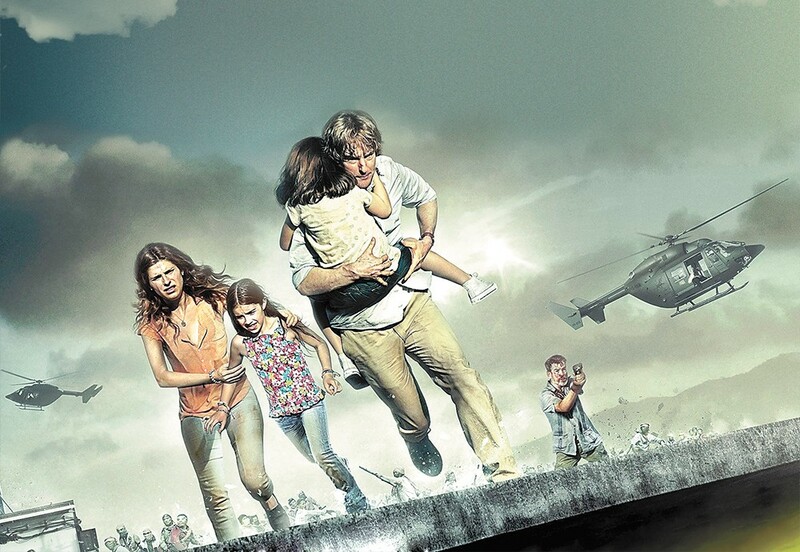 If you can get past the cultural narcissism that Western corporate colonialism is only an issue when it impacts a nice, white, rich American family, No Escape is actually enjoyably intense, though much closer to the level of the horror genre that the Dowdle brothers usually work in than that of awards bait. I'm not sure how plausible much of it is, but found myself gripping my seat and holding my breath more than once. The kids are realistic children subjected to and coping with realistic trauma as they face life-or-death danger; it is not the stuff of popcorn violence. Poor Bell doesn't have a whole lot to do beyond playing the fretting mother, though she's very good in what is her first wholly dramatic role. No Escape is not showing in any theaters in the area.